Las Pampas Chapter was organized March 13, 1965, by Mrs. A. D. Hill, who served as the first regent. Our town of Pampa, in the heart of the Texas Panhandle, was named for the grassy, treeless plains of the "pampas" in Argentina, as our terrain is similar. Thus, we chose the name Las Pampas for our chapter. The railroad station, a box car, was established as a telegraph and watering station for the extension of the Southern Kansas Railway in 1887. The station was first known as Glasgow, then Sutton, and finally Pampa. 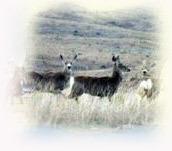 The White Deer Land Company was soon established to sell land and bring in settlers. The post office was established at the railroad station in 1892, and was soon to serve 24 inhabitants, and 43 in the area. Pampa was on its way to becoming the second largest town in the vast plains of the Panhandle - a town currently with 36 parks and many trees. Are you looking for a friendly DAR home here in our friendly, history-rich area? If you are, we want to hear from you, so contact us by sending an email to Kay Slate, chapter regent. Las Pampas meets the first Thursday monthly, except during the summer. Special events include luncheons in October and May; special recognition of DAR Good Citizens selected from five area schools, plus Pampa in February; the American History Essay Contest in the lower grades; historic preservation of the Pioneer Cottage and cataloging Fair View Cemetery; Constitution Week with a library window display; contributions to DAR schools and projects; and support of the local Veterans Hospital, to name just a few. The National Society Daughters of the American Revolution is a national organization formed in 1890 that is dedicated to service to the Nation. Its objectives are historic preservation, promotion of education, and patriotic endeavor. An individual is first a member of the National Society, and through her chapter and state organization she contributes her service to the collective strength and progress of the National Society.